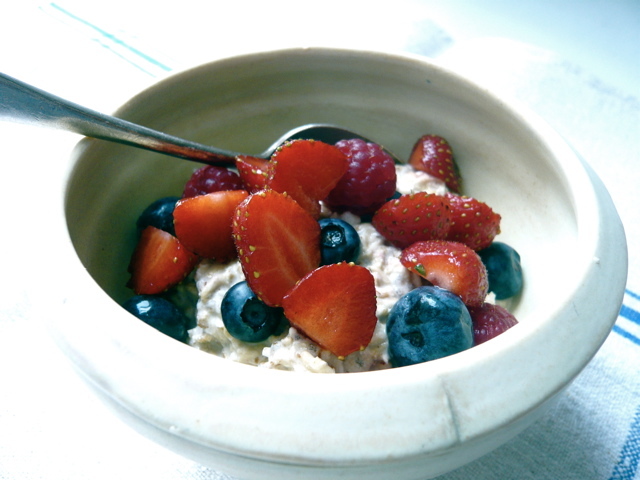 Breakfast Fuels Your Day: Dietitian Melanie Guest Blogs! The Aussie Breakfast Report found that the average Australian only allows 8 minutes to prepare AND eat breakfast each morning. As a result of our busy lifestyles, one in every two Australians skips breakfast at least once per week. As a Dietitian, I am one of those people who chant that ‘breakfast is the most important meal of the day’. Half of all breakfast skippers admit that it affects their performance throughout the morning. In addition to improving your performance, starting the day with a balanced brekkie will also help you to meet your nutrition requirements. a serving of low fat dairy. Wholegrains help to protect against heart disease, bowel cancer, type 2 diabetes and obesity. Fruit is rich in antioxidants and helps to protect against cancer and low fat diary is rich in calcium helping to protect you from osteoporosis. For those who struggle to fit breakfast into their day, I’ve started recommending BelVita breakfast biscuits with a piece of fruit and glass of low fat milk or skim latte. BelVita are scientifically proven to provide 4 hours of sustained energy release with eaten with a serve of low fat dairy. They are also low GI and contain 5 wholegrains, so nutritious as well as quick. I have to admit that I find them handy to throw into my gym bag on days when I go straight from the gym to work. If you’ve got any questions on this or any other nutrition topics, please contact me on www.facebook.com/NutritionPlusNews. Thanks Melanie. Other good brekkie options? 1. In a nonstick saucepan, add oats and cook over medium heat for about 2 minutes to toast. Stir often. Add boiling water and reduce heat to a simmer. Simmer on low for 5 minutes or until most of liquid is absorbed, stirring occasionally. Stir in ¼ cup soy milk, vanilla and continue to simmer for about 3 minutes, until desired consistency. Add more milk, if desired. 2. Stir in stevia and cinnamon.